East Austin is hot, and it’s about to get hotter with the addition of a couple of new apartments currently under construction. One community is located in Central East Austin on nightlife-filled East Sixth and one is located just south of the river on East Riverside, south of the new Oracle Campus. Indie Apartments will be have 139 micro units ranging from 350 square foot studios to 520 square foot two bedrooms, the Austin Business Journal reports. Located at East Sixth and Chalmers next to the Liberty Bar, the development is in close proximity to bars like Yellow Jacket Social Club, Whisler’s, and the White Horse. The project started construction in June. When finished in August of next year, Indie will have more than 55,000 square feet of development on less than half an acre, including a 2,500 square foot restaurant. The goal of the developer is to reach those Austinites who want to live in the vibrant East Sixth Street area, but can’t afford the price points that are currently available. Apartments will be furnished with innovative space-saving ideas like built-in storage, murphy beds, convertible tables, and clever kitchen solutions. The courtyard will have firepits and televisions, and the 108 space parking garage will be below ground, under the building for those residents who choose to have a car. Indie is located less than a block from the Plaza Saltillo metro station, allowing inhabitants to use public transportation in addition to being able to bike or walk to many of the area’s hip restaurants and bars. River City Capital Partners recently purchased 7.34 acres on East Riverside Drive and Vargas Lane. The land is located just 1.5 miles from Ben White and three miles from the new 560,000 square foot Oracle campus, currently under construction. The developer plans to build 300 to 400 apartments and 150,000 to 200,000 square feet of office and retail space on the lot, the Austin Business Journal reports. The company was founded in 2014 and has built small multifamily and single family projects south of downtown in 78704, but this new project would be its largest yet. The company’s next step will be acquiring the permits necessary to build their desired project on the land. In addition to the new Oracle offices, Austin Community College’s Riverside Campus is 1.3 miles away and the Ruiz Branch of the Austin Public Library is less than a mile away. Austin Bergstrom International Airport is 4.5 miles to the east and downtown is five miles to the west. Looking for an apartment in East Austin or beyond? Give Austin Apartment Specialists South Austin a call today at 512-200-7535 for the absolute latest information on vacancies, rental rates, and move-in specials at all the best addresses in Austin! 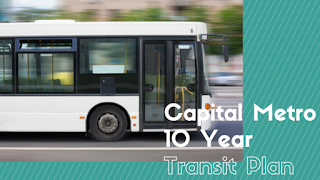 Capital Metro has unveiled an ambitious 10 year transit plan for public transportation for the Austin area, the Austin Business Journal reports. The plan is a draft at this point and is called Capital Metro Connections 2025. It was created to address the incredible growth that Austin and Travis County will see in the next 19 years. By 2035, Austin’s population is expected to grow 20 percent and Travis County’s 30 percent, with the majority of the increase coming in suburban areas that are harder to serve because of their decreased density and sprawl. Right now, downtown Austin has the highest concentration of jobs, but Cap Metro expects growth in North Austin, especially in Tech Ridge, Jollyville, The Domain, Windsor Park, and Mueller. Cap Metro expects the plan to fit well into their budget and divides their service into six sections: RapidTransit (MetroRail and true rapid bus transit systems), MetroRapid bus service, frequent local routes with 15 minute intervals, local service with 30 minute intervals, community circulators, and express commuter buses. In the RapidTransit section, MetroRail’s service would be increased to every 15 minutes. It also wants to put bus rapid transit service on IH-35 running between Tech Ridge on the north end of town and IH-35 and SH-45 in the south. The buses would run in special lanes, would never leave the freeway, and passengers would exit via stairs to the local street below. CapMetro warned that the bus rapid transit service on IH-35 is at least seven years away and depends on whether major changes to IH-35, as proposed by Senator Kirk Watson, become a reality. CapMetro proposes consolidating MetroRapid and old-fashioned bus routes in certain corridors, which would lead to station spacing changes. Officials suggest putting stops every third of a mile in those areas. They also suggest consolidating the premium and base fare system into one fare. The agency wants to establish a Seventh Street MetroRapid line which would run east-west through downtown. They want to create a route that will run from Manor in the Northeast, to downtown, to ABIA and be consolidated with Route 20 and the Airport Flyer. CapMetro is already working on increasing frequency on MetroRapid routes 801 and 803 to every 10 minutes to start in 2017. The goal is for riders to be able to just show up at a stop and expect a bus to come soon, rather than having to rely on schedules. Another part of the plan is to make MetroRapid run around the clock, with buses coming every 30 minutes during the late night hours. Local Frequent routes are the next level after MetroRapid, and the city plans to add to the number of routes that fall into this group, increasing to the total from four to twelve. There will be a special focus on east-west coverage. After that comes local service, which has 30 minute intervals along less dense corridors, and will see routes added to Koenig, Anderson, and Braker lanes. Finally, the plan proposes new circulator buses running through downtown, and for the Domain and Mueller neighborhoods. If you remember the old ‘Dillo buses, it sounds like they may be coming back (probably without the cute trolley design, though). The next steps are putting the plan before the public for their input, then a final draft will be written in October which will then be presented to the Capital Metro board again. Public transit is a great way to get around, and the first step to making sure it works for you is to pick an apartment near public transit. Argosy at Crestview is a fantastic choice if you want to be near public transportation. Located in the Crestview Neighborhood, Argosy is within walking distance of Cap Metro Rail at the Crestview MetroRail station and several major Capital Metro bus lines. This newly renovated community has a dog park, pet washing station, and 24-hour fitness center. Their one and two bedroom apartments feature nine foot ceilings, washer and dryer connections, and patios and balconies with storage. Midtown Commons is another great choice in the Crestview area. The Crestview Station MetroRail stop is on the community grounds and there are restaurants and stores on the property so you don’t have to travel to get what you need. This luxury, nearly brand new community features garage parking, ultra-modern design, subway tile backsplashes, island kitchens, track lighting, and stained concrete floors. No matter what neighborhood of Austin you want to find an apartment in, Austin Apartment Specialists can help you find a home near public transportation. 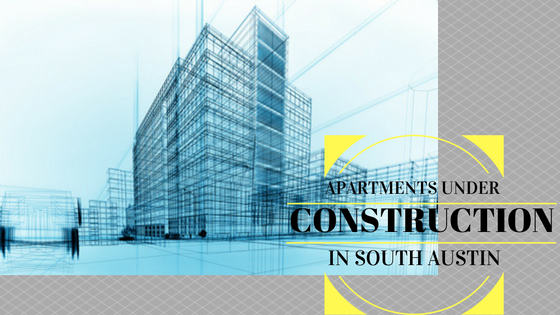 We also know up-to-the-minute vacancies, rental rates, move-in specials and amenities at all the best apartments in town. Give us a call today at 512-318-2504 to take advantage of our absolutely free service! Are you an Austinite and a dog lover? You’re in good company! Austinites love our dogs and there are lots of parks and restaurants in town that are dog-friendly. In South Austin, Norwood Estate Dog Park is conveniently located at the corner of Riverside Drive and I-35. It has two fenced in areas, one for large dogs and one for smaller ones, as well as water bowls. Some complaints from dog owners do include that there aren’t many chairs and that there are lots of shrubs for dogs to get lost around. Red Bud Isle is located on Lady Bird Lake, just below the Lake Austin Dam. It’s a great place for dogs to let loose and frolic in the water. There are just twenty parking spaces, which means you may have to wait, but on the plus side, the park doesn’t get very crowded because only a few people and dogs can enjoy it at a time. The Barton Creek Greenbelt isn’t an off-leash dog park, per se, but is a great place to hike and swim with your dog. You can also bike on the trails, climb rock walls, and hit the water from a rope swing! 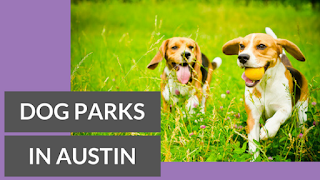 West Austin Neighborhood Park, located in West Austin on 10th street, has a fenced in off-leash dog park, as well as a pool, basketball court, picnic tables, and more. It has lots of water bowls, toys, mixed terrain and chairs for humans. There isn’t a separate area for smaller dogs, though. Auditorium Shores has a leash-free zone for dogs and gets high marks for space, number of water stations, and number of trash cans for dog waste. However, if your dog is a runner, be warned that the leash-free area isn’t contained by a fence and a dog could easily run out into traffic on busy Riverside Dr. If your dog likes to swim, Lady Bird Lake makes a great swimming hole. Sometimes you need food but want to take Fido. Luckily Austin has a lot of dog friendly patios as well! Red’s Porch on South Lamar near 71 is a dog friendly bar with food and beer and a spectacular view of the sunset from the patio. Opal Divine’s Penn Field has a dog friendly deck overlooking South Congress near St. Edward’s University. They have 36 beers on tap and sixty varieties of scotch. The food is tasty American fare and there are drinks and food specials almost every night. Ready to take your dog out on the town in North Austin? Yard Bar might be the most dog-friendly establishment ever! There is a large area for dogs to frolic, complete with dogs and “bark rangers” who keep the peace and scoop the poop. Food and drinks get high marks as well. If you’re really far north, the Round Rock Dog Depot Dog Park is nearly two acres of puppy heaven! Featuring a fenced in dog park with agility elements, there’s also a large area for jumping and playing and separate areas for small and large dogs. Old Stage Park in the Anderson Mill area requires a paid annual membership to use, but has a lot of benefits. They also have a basketball court, tennis court, and lots of seating and shade. Are you trying to find a new apartment for you and your pet? An experienced apartment locator can help you find a great dog-friendly place with amenities for your furry friend like dog parks, nearby trails, and even dog washing stations. 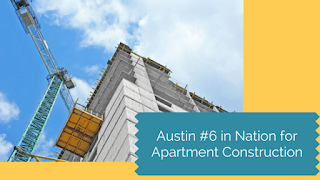 Give Austin Apartment Specialists South Austin a call today at 512-200-7535! Austin Homeowners and Renters are extremely different, KUT reports. 55% of Austinites rent and 45% own their home. That renter percentage is very high. Nationally about 46% of Americans rent. 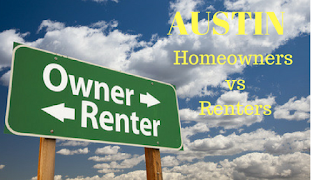 Homeowners in Austin have an annual income of $86,000 while renters make less than $39,000. While less than half of Austin’s population is non-Hispanic white, they account for 67% of the homeowners in town. Austin renters tend to be younger, are more likely to be people of color, and are more likely to be new to town. 53% of renters are under 35, compared to 14% of homeowners, and 40% of renters are Hispanic, Latino or African American, compared to 26% of homeowners. 64% of renters moved to Austin since 2010, compared to just 15% of homeowners. Two segments of Austin’s renting population are growing fastest: those on the low-end and on the high-end. However, most of the apartment inventory being added tends to be on the high end. This leaves low-income renters with fewer options for homes, and with less ability to ask landlords to make repairs or give them concessions. While there are 6,000 new apartments currently under construction in central Austin, most of that is destined to be luxury and out of reach of low-income renters. Much of the problem with adding new stock to Austin’s apartment supply is the fact that neighbors often protest projects that increase density in their neighborhood and affordable housing projects. Developers frequently face an uphill battle in trying to get new projects approved. Homeowners regularly turn out in droves when a new apartment building is before city council, with renters seldom represented. Renters at the low end of the income spectrum often find themselves suffering from a cost burden. In other words, they pay more than 30 percent of their income for rent and utilities. This makes it difficult for them to save and makes life a daily struggle to survive. There are many policies that the city could adopt to help make it easier to build more housing stock for renters. Currently, the Code Next process is hoping to come up with changes to Austin’s land use code to make it easier to build new projects. Recently the Council’s Housing and Development Committee voted to expand density bonuses, which allow developers to build more units or taller buildings than would normally be allowed in exchange for adding some units to be rented at below market rates. Density bonuses have already been used in the East Riverside and West Campus areas, adding 1,600 affordable apartments. However the way density bonuses are implemented can be confusing, so the committee wants to simplify and streamline the regulations around them. A big way renters can get more of a voice in city matters is to show up. Renters can go to city council meetings (schedule), contact council members, and sign up to speak at city council meetings to tell them that the concerns of renters matter too. An experienced apartment locator can help you find an apartment that fits in your budget. We will have you fill out an application and be sure you are pre-approved before you ever leave the office. That way you don’t have to worry about paying application fees to an apartment just to be turned down. Our services are absolutely free and we know up-to-the-minute vacancies and move in specials in Austin and the surrounding area. Give Austin Apartment Specialists a call today at 512-318-2504. You may have heard of “Code Next”, but not be sure exactly what it is. Read on to find out what Code Next is, what it means for Austinites, and why some community organizations are worried about the process. 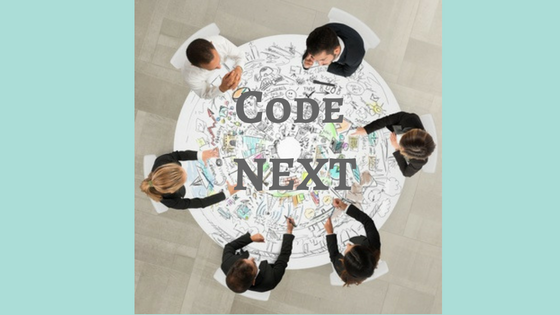 Code Next is a City of Austin process that involves Austin’s residents, business community, and civic institutions in the process to change Austin’s building code. The goal is to clarify and simplify the rules around what can be built and how much of it can be built in one place. It grew out of the Imagine Austin Comprehensive Plan in 2012. Why does Austin need Code Next? The current land use code, which was written almost thirty years ago, was created for an Austin that was less than half the size it is now. When problems would arise, amendments would be added to the existing rules, which resulted in a giant tangle of hundreds of amendments that are byzantine and don’t make sense for the city that we are living in now. The goal of Code Next is to make the rules straightforward and easier to follow and understand, making it a blueprint for the Austin we want to see. Code Next proposes that each neighborhood in Austin has a unique character that is worth preserving and adding to. Its goal is to have additional housing stock fit in with the existing homes in a neighborhood and create tools to address zoning issues within neighborhoods. Another goal of Code Next is to provide businesses an easier set of building codes to understand and abide by. By giving small business owners a “predictable and equitable process”, Code Next will help make starting a new business smoother and more affordable. It will also overhaul the zoning maps to provide new opportunities for businesses to exist in both new and old buildings by encouraging adaptive reuse. Code Next also aims to use building types that have been successful in other cities to create clusters of small businesses that can adapt as needed over time. Affordability in Austin is a huge problem right now, and Code Next aims to address it in several ways: creating a mixture of housing types for many different income levels, allowing smaller house and lot types, helping residents stay in their current homes by allowing them to build a garage apartment or accessory dwelling unit for rental income or an elderly parent, allowing for live/work units where people can run their business on the lower level and live on the upper level, and cutting down on red tape for remodeling projects. Code Next wants to protect Austin’s abundant natural resources by designing better parks, making parks part of developments and landscaping streets. By specifying the use of drought-tolerant plantings, better irrigation systems, and strengthening sustainable building requirements, Code Next could reduce water usage. It could also require streets to be laid out, designed and constructed in such a way to better handle storm water run-off. Finally, Code Next aims to make it easier to get around town by bike or on foot by creating developments that make biking, walking, and public transportation a real possibility and makes neighborhoods better connected. It would also encourage compact development that allows for a real range of transportation options. As reported by The Austin Monitor, unfortunately the Code Next process is two years behind schedule and thousands of dollars over budget. A coalition of Austin stakeholders that includes AURA, the Austin Apartment Association, the Austin Board of Realtors, the Austin Chamber of Commerce, the Downtown Austin Alliance, Evolve Austin, the Home Builders Association of Greater Austin and the Real Estate Council of Austin wants the city to stick to their January 2017 deadline for a new land development code. The coalition asks that rather than continuing to release “Code Prescriptions” which outline how land use could address problems like affordability and sustainability, the city focus on the original intention of Code Next, which is to rewrite the land use code. The coalition argues that every day the city drags out the process, new development continues to cost more because of the complex web of laws builders must follow. This in turn makes Austin an increasingly unaffordable city to live in. While much of the Code Next debate is over laws that affect developers and homeowners, simplifying building code can go a long way towards making building new housing cheaper and easier to create. More housing can help renters because people who otherwise might have chosen to rent an apartment when they couldn’t buy may now choose to buy a house or rent a garage apartment, freeing up inventory and driving down rent for apartment hunters. It can also make new apartments easier to build. Are you looking for an apartment in the tight Austin housing market? It helps to have an expert apartment locator on your side. Austin Apartment Specialists South Austin has the expert knowledge of up-to-the-minute vacancies, move-in-specials, and amenities at amazing apartment communities across Austin. Give us a call today at 512-200-7535. Austin ranks sixth in the nation in new apartment construction according to a report by Rent Cafe, reports Curbed Austin. Houston and Dallas took the top two spots followed by New York, Los Angeles, and Washington, D.C.
Austin will add 13,568 new apartments this year, compared to Houston’s 25,935. Houston, Dallas-Fort Worth, Austin and San Antonio combine to account for 22% of the increase in inventory for the 50 largest U.S. metro areas. According to the US Census, those four areas added 412,000 new residents, the most of any state. The boom in apartment inventory is nationwide, and may lead to lower rents in some areas, but it’s unlikely to help in Austin as the city is already short on inventory. In June, average rent in Austin was $1,369, while it was $1,213 nationwide. Occupancy in Austin was 94% and 96% across the country. What’s driving the apartment construction craze? A growing number of people are turning to renting, either because home ownership is becoming increasingly unaffordable or to be more flexible. Nationwide, over 320,000 apartments are projected to hit the market before the end of 2016. The largest share of apartments being constructed are one bedrooms. For the US as a whole, one bedroom apartments account for 51% of the new stock. In Austin, that number is 55%. 32% of new construction in Austin is of two bedrooms, 10% are three bedrooms and just 3% are studio apartments. How do you find a rental in a tough market like Austin's? Pairing with an experienced apartment locator is a great start. They know up-to-the-minute vacancies, move-in specials, and amenities at the best addresses in town. Give Austin Apartment Specialists a call today at 512-318-2504. Apartment construction is booming in Austin. 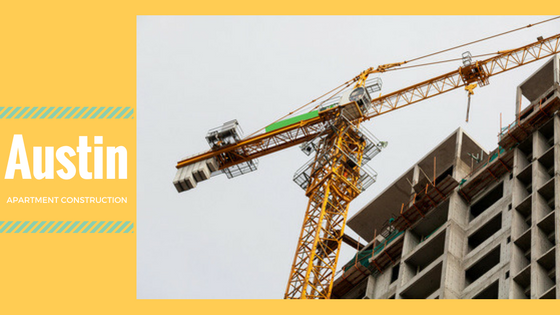 In fact, there are currently 18,893 new units under construction across the city right now! Let’s take a closer look at what’s coming to fruition in South Austin. 422 at the Lake is located at Riverside and South First, a stone’s throw from the Lake and Auditorium Shores. This 207 unit community will have one and two bedroom apartments ranging from 497 to 1,365 square feet. Apartments will feature hardwood flooring, quartz counters, 10 foot ceilings, Nest thermostats, and spacious walk-in closets and showers. The complex will have a latte and tea bar, Cross Fit Room and fitness center, Bocce Ball Courtyard, downtown and lake views, and more. Another lakeside project is The Water Marq, located near the intersection of Riverside and Congress with direct access to Lady Bird Lake. The 264 one to three bedroom units, including private townhomes, will feature 10 foot ceilings, downtown views, front-loading washer and dryers, programmable Nest thermostats, and solar shade window coverings. Community amenities include a fitness center overlooking the lake, a pet wash station and dog park, bike repair and storage areas, and kayak and paddleboard rentals. Another South Central Austin project is Thornton Flats, which is set to open this October and will feature 104 one and two bedroom apartment homes ranging from 757 to 1,148 square feet. Located near Oltorf and Lamar, apartments will feature modern design, available fenced in yards, and downtown skyline views. The community will have a picnic area with hammocks, a residents’ lounge with full kitchen, outdoor gas grills with tv and sound system, community gardens and a dog park. Thornton Flats is Austin Green Building Certified and is within walking distance of the ABGB Beer Garden. Lenox Boardwalk is under construction at the corner of Pleasant Valley and Elmont Drive, a block from the Lady Bird Boardwalk. This five story, 339 unit community will have one and two bedroom units including three large, one bedroom live-work plans and is expected to be completed in 2017. Rent is projected to be between $1,100 and $2,500 per month. Sur 512 is located in South Austin on South Congress near Stassney Lane and has units ranging from a 601 square foot one bedroom to a 1,260 3 bedroom, two bathroom. Apartments feature open, spacious floorplans, stainless steel appliances, granite counters, glass tile backsplashes, included washer and dryers, and more. The community has events and social activities, has elevator access, a direct access garage, and is smoke free. Southeast Austin is seeing a ton of new apartment construction including Aspen Heights Concorde, located just north of Slaughter off of IH 35. This 346 unit community will have one bedroom, two bedroom and three bedroom apartments ranging from 750 to 1,350 square feet, with washer and dryers in every apartment. Other amenities include private garages, a community garden, a dog park, a 24 hour gym, 1 GB internet, and fenced yards. Plus the convenience of instant access to IH 35! In Southwest Austin, Ocotillo will have 308 apartments with one to three bedrooms and 608 to 1,485 square feet. Located on 290 just west of the Y, Ocotillo is close to Seton Southwest Hospital and Austin Community College. Apartments feature subway tile backsplashes, granite counters, espresso stained maple cabinets, 9 foot ceilings, and french doors leading to the balcony. The community will have a leash free dog park, a resident park with dining area and gas grills, a pool with hill country views, and more! Want to be the first resident in one of these amazing new communities? Give Austin Apartment Specialists South Austin a call today at 512-200-7535 and let one of our expert apartment locators connect you with the best deal on one of these communities. Can’t wait? We can find what you want in a community that’s already built, absolutely free!